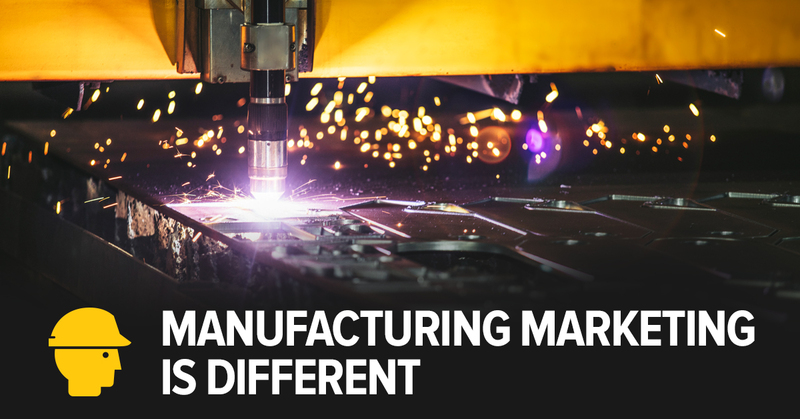 Manufacturing marketing is different. You don’t necessarily need to cast a wide net to find your potential customers because you’re generally looking for a specific audience. You don’t need to talk to a lot of people, just the right people. Oddly, that’s more complicated. You have to weed thru all of the distractions and pinpoint the specific audience and make sure you’re reaching that audience in a way that really gets their attention. Here are three digital marketing products that I’ve found to be extremely successful with my manufacturing clients. This is the ultimate secret weapon I’ve found most useful for many of my manufacturing clients. Be creative with it. So many manufacturers put a lot of their marketing budget in to trade shows. Add a Lat/Long digital component to your marketing strategy and send a digital message to those attending trade shows (your relevant audience) to give them a reason to stop at their booth – or wherever they are set up. And, consider the trade shows, conferences or seminars your customers may be at but you’re not planning to attend. Lat/Long can give you a presence by delivering your company message to those relevant people in and around the event via their mobile phone as they check news and info on their phones. Deliver a compelling message then, and/or after the event, whatever works best for you. Consider that very few prospects are in the market on any given day for your products and services. They do their research before reaching out to companies. The best way to let them know what you do, and what differentiates you, is to provide details about your products and/or services through engaging content. That doesn’t mean writing an ad about your company or products or services. It means writing content that means something to your potential clients, that answers their questions, or offers solutions to their problems, so they look to you as the expert in that area or field. Don’t forget, By the way, this helps your website SEO, because as you provide fresh and relevant content the search engines see you as the expert, which will elevate you on search result pages. We all know that no one goes beyond the first page of a search, and If you’re not coming up in a search, then you’re not an option. This is the product at the bottom of the sales funnel. This is the way to grab potential customers as they’re looking for a product or service that you offer. The monthly budget investment is one of the determining factors of how often your company appears on a relevant search results page. Other factors are the popularity of the keywords and how often you want to show up – when your best potential customers are looking for you. Most importantly – selecting keywords that offer the best return on your investment, and following up with frequent reporting to analyze how you’re spending your dollars to optimize your campaign. The name of the game is that it’s a thin market. You may just be looking for three customers. To find them you need to be visible, with a consistent, targeted marketing message. Make sure you work with a company that’s responsible to you for return on investment, offers transparent reporting, and analytics on your campaign to make sure you get the most for your marketing dollars.